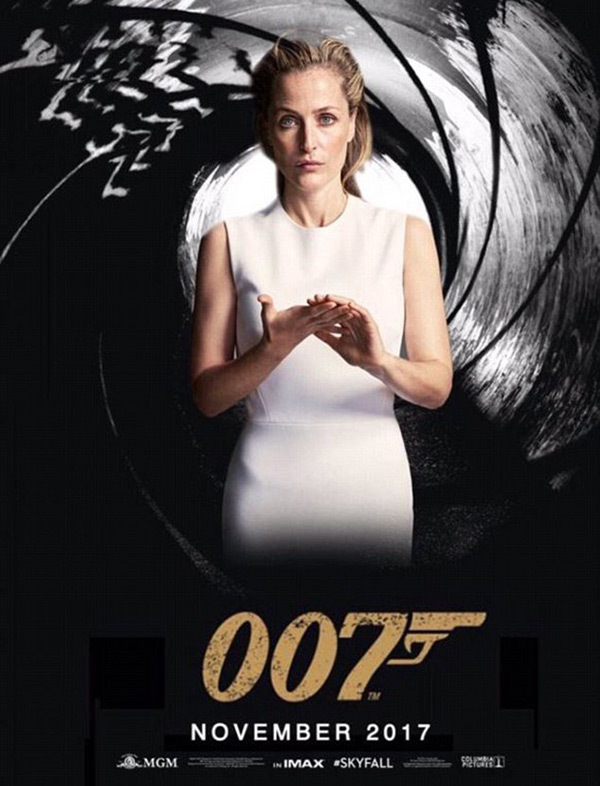 The name is Bond… Jane Bond! Don’t knock it. 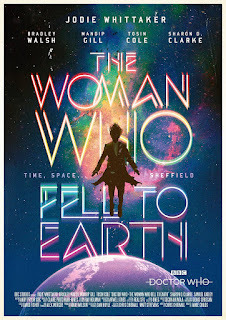 This week Doctor Who went where no man has gone before. And about time. And she did it in “Casino Royale” style with a little more of the WooWho theme added each time she stepped closer to remembering just Who she fully was. Fearless confrontation with aliens… build a new sonic… heroic action sequence… turn their own weapons against them… never cruel, never cowardly, always there to help… and you’re really going to wear that? The Doctor’s back baby, she’s back. And so are we. Here’s Daddy’s new Who review. The first impression was that this was very new. The cinematography was more sweeping. The pacing was more measured. The focus more on the ensemble cast – like the opening of “Rose" but paced like Broadchurch not a pop video. The music was less frenetic. The colour palette was more naturalistic, at least for the daytime work. Let’s hope that “naturalistic” means “grim up north and dark” for one episode only, and that alien planets will be different. 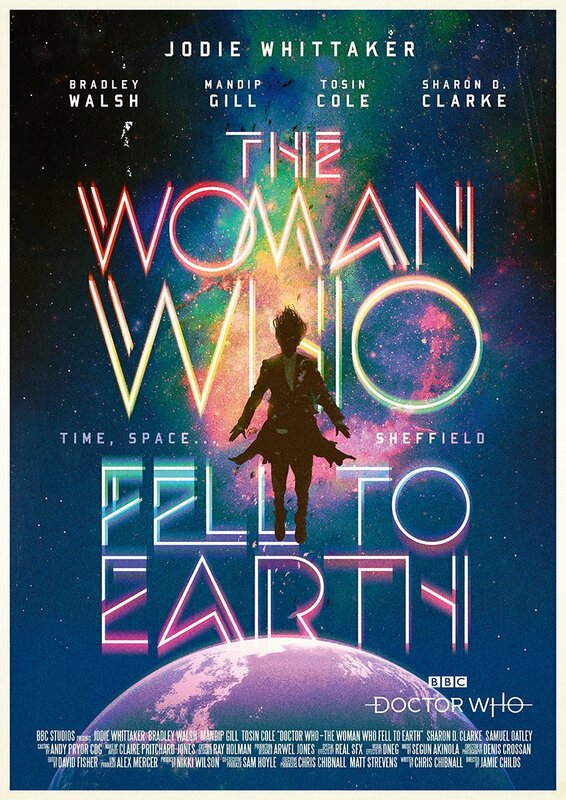 The posters for this season have been so vibrant and colourful, and Doctor Who should look different to anything else on TV (again!). There are clearly two ways to handle the transition from Doctor to Doctor: the companions to hold your hand approach as you experience their shock, bewilderment and acceptance with them – “Power of the Daleks”, naturally, but also “Robot” or “Deep Breath”; and the all-change method, where the whole team are new and you experience the Doctor brand new for the first time all over again: “The Eleventh Hour”, “Rose” or “Spearhead from Space” or even arguably “An Unearthly Child”. But in a lot of ways this was also a step back to something hugely “trad” – not exactly 20th Century Who, but what that might have evolved into along the lines of other British drama. We’ve had ten seasons of New Who with emphasis on the “New”, both Russell Davies era of fast-cutting, high octane, high contrast based on American series like “Buffy”, and the Steven Moffat’s puzzle-box genre, in darkness and actinic blues. Right now, something old-school is the radical departure. And I’m reminded of Sir Humphrey’s advice in “Yes, Prime Minister” – if you’re going to do something really radical, Prime Minister, announce it from the most traditional wood-panelled library with leather chair and mahogany desk. Everything you can do to comfort people and tell them it’ll all be fine. Because holy crap the Doctor is a woman and half the Internet have lost their minds. Which of course is absurd, because the Doctor is still the Doctor and Jodie Whittaker is brilliant. Of course, it’s early days, and we’ve got the excuse of post-regenerative discombobulation to handwave any cuts and trims as writers and actor find the performance. But what we saw on the first night was, let’s quote the trail, glorious. We acknowledge the gender swap with “Why are you calling me madam?” but it makes no difference to the Doctor taking charge like she owns the place, same as the Doctor has always done. A defining scene was aboard the train, as Yas tries to assert her authority as a police officer (or cadet PCSO), and the Doctor effortlessly takes charge, not by bullying or physical threat but by posing the pertinent questions and showing she’s the one with the answers. Jodie’s performance gave me a bit of Tom in, say, the “that nap did me the world of good”, and some lovely squidgy-faced expressions as emotive as Sylv, but most reminded me of Matt, with the physical discoordinations and the eccentric distractedness. And the complete confidence in the dress-sense. Which is also very Colin. But played, and I think quite rightly, with an absolute confidence in her own authority, not arrogance, but certainty. The seventh Doctor went to the funeral in “Remembrance of the Daleks” but only the thirteenth would stay. And thankfully after the “am I a good man” gloom that beset the twelfth Doctor, Jodie felt like a Doctor unburdened. Able to offer a helping hand and stand up for fair play because she’s – literally – got the spoons now to do so. Possibly unsurprising given that this is Chibnall, he’s chosen to sample some of his favourite Who moments, made a montage from some of the series’ quintessential touchstones: the Doctor’s speech about family from “Tomb of the Cybermen”; the forging of the new sonic – from spoons and a bit of alien spacepod – harking back to the third Doctor’s gadget building, if way more epic; the crane reminiscent of Sarah Jane climbing the Thal rocket in “Genesis of the Daleks”, or the Doctor and friends teleporting between adventures as in “The Ark in Space” or again from the end of “Genesis…” with added floating in space effect; the Doctor looking for “a doctor” as Peter Davison was in “Castrovalva”; possibly a nod to David Tennant in “The Christmas Invasion” as the Doctor recovers on the sofa exhaling artron energy; even the first glimpse of the new female companion is in police uniform like Amy (thank god this time she’s not really a stripper!). “Will he ever call me grandad” was a line given to Graham, but was planting a flag for the series’ roots right back to “An Unearthly Child”. But Chibnall wasn’t afraid to subvert the expectations either: two aliens arrive – one tentacle-y one in armour – the Doctor guesses two alien races at war… immediately I’m thinking Sontarrans vs Rutans… but no, he’s not afraid for the Doctor to guess wrong, and the aliens – on the same side after all – turn out to be the Jem’Hadar… no, sorry the Stenza. Well, there’s a whole new meaning to “toothy grin”, that Terrance Dicks can’t have thought of. Possibly Chibnall has been studying too many serial killers for writing “Broadchurch” (yes, I know they didn’t actually do serial killer) with their gruesome souvenir-collecting habits. The tentacle-y thing, meanwhile, was wonderfully Cthuloid. We wondered if it had assembled itself a form from train cabling, incidentally, and might it have build different, more industrial bodies later at the crane site. And as an aside, I thought it was good that Ryan was able to own his mistake in “granting access” too. So, let’s look at the supporting cast, who I thought were great. Of the non-Time Lord regulars, it’s interesting that Ryan (Tosin Cole) is clearly the audience identification figure, starting from his vlog as we do. That also makes him the voice of the author for part of the story. And it’s his action that incites the incident. I’m slightly less sold on Bradley Walsh’s Graham yet. He’s no Wilf. But I’ll give him the benefit of the doubt if only for the gleeful expression as he detonates an explosion in the season’s trailer. But of the three, I’m favouring Yas as the stand-out, Mandip Gill bringing a bright intelligence and curiosity to the role. Though something that makes Yas a Moffat-style companion (something else other than she’s wearing a police uniform – she’s earned that uniform! ): she knew Ryan in childhood and suddenly finds him again because of the weird stuff he shows her and she doesn’t believe! Not joining us on voyage, Karl Brian Wright, crane operator and “valuable person” was sweet in his own way, and I liked that he said thank you and left (yes, like Derek from “Survival”), though the plot demanded that – like, Alex tells me, the book of “Survival” – the monsters come after him in the end. Nice that the Doctor gave him a ticking off for booting the beaten villain off a crane (though not the full Harriet Jones destroy his life!). But my favourite was Grace, for all that – curse you the spoilers of pre-publicity – knowing she wasn’t a series regular was as good as hanging a “doomed” sign around her neck. She was funny and brave and curious and had as much character as the other three put together. Basically, she’d have been a great companion in the Evelyn Smythe tradition. Several times, I thought she was about to buy the farm, so making it to the last act was almost an achievement, but then it was “No Graham, let me go sticking the probulator into the electric death-ball up the crane”, and fate was sealed. Grace’s fall give the episode title poignant double meaning – in retrospect highlighted by Ryan from the beginning telling us that the woman we think this is about isn’t the woman who this is about. Chibnall here strikes a balance between Russell, having people challenge the Doctor afterwards on consequences, and Moffat saying if you wish hard enough there are no consequences at all, (so if you die you just can’t have been special enough); he’s learnt from writing a long and harrowing detective show (and maybe from reading some PD James) that when people die it has a massive effect on other people, rarely beneficial, sometimes catastrophic, because every person is the centre of their own story with their own web of connections and consequences. And if Grace is the point of the first episode, is this an author’s nod to the US remake of his Broadchurch called Gracepoint? The Hitch-hiker’s Guide to the Galaxy tells us that the probability of being rescued from the vacuum of space is 2 to the power of 276,709 to 1 against, which as we all know was a telephone number in Islington in the late ’Seventies. So will someone with an Infinite Improbability Drive be along in a half a minute to rescue our heroes? And the big question: Will we get a title sequence? I've seen the point made that Grace is very Doctorish in personality, and this might lead to interesting dynamics with The Doctor and Graham further down the line. I feel like there has to have been more than one Evelyn Smythe for there to be such thing as the "Evelyn Smythe tradition", but yes. "... or that it was all downhill once those two schoolteachers appeared." Not sure whether you mean Clara Oswald and Danny Pink, or Ian and Barbara!